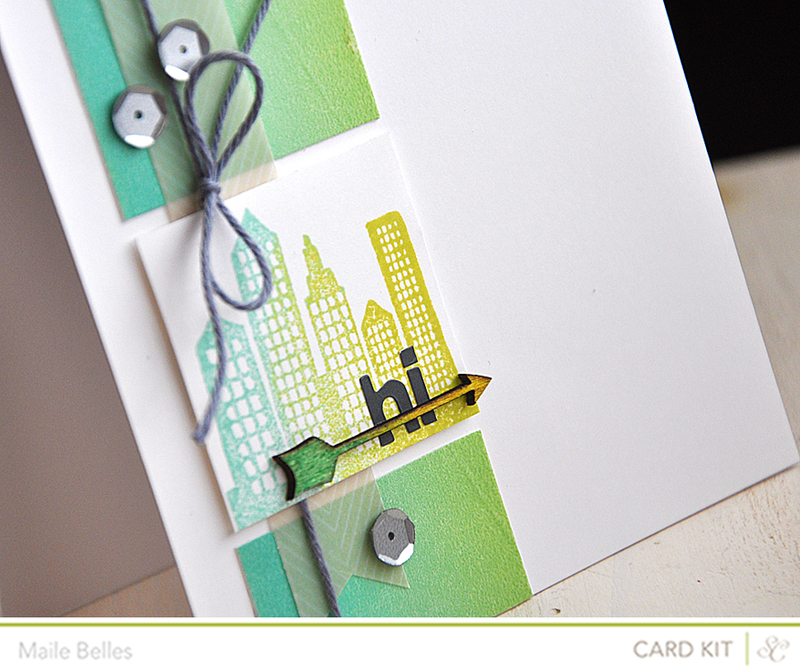 Using the extra wide ombre washi from the Front Row scrapbook kit as inspiration, I rocked and rolled the cityscape stamp image in two inks for a two tone look. Also misted the arrow in the same fashion. Tucked a strip of vellum (also from the scrapbook kit) and grey twine into place and finished the card off with a few sequins. A touch of Big Screen add on washi applied to either side of these fun bracket veneers from the Front Row Project Life kit. And a happy sentiment combo with stamps also from the same kits. 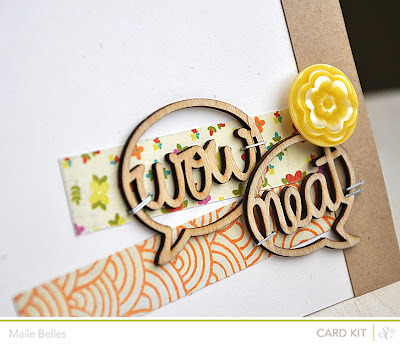 A true labor of stamping love this one was. Everything here was from the Popcorn add on. 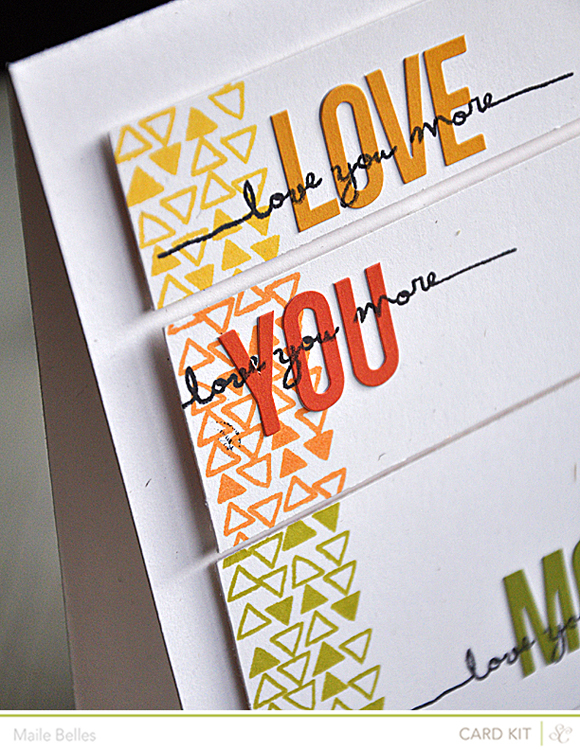 After trimming three different sized cardstock panels I stamped one side of each with the triangle border stamp. Placed the alpha stickers and stamped yet again, this time over the letters. The black stripy button finished the card off perfectly! These two veneer bubble words are the perfect accents for a note of congratulations. 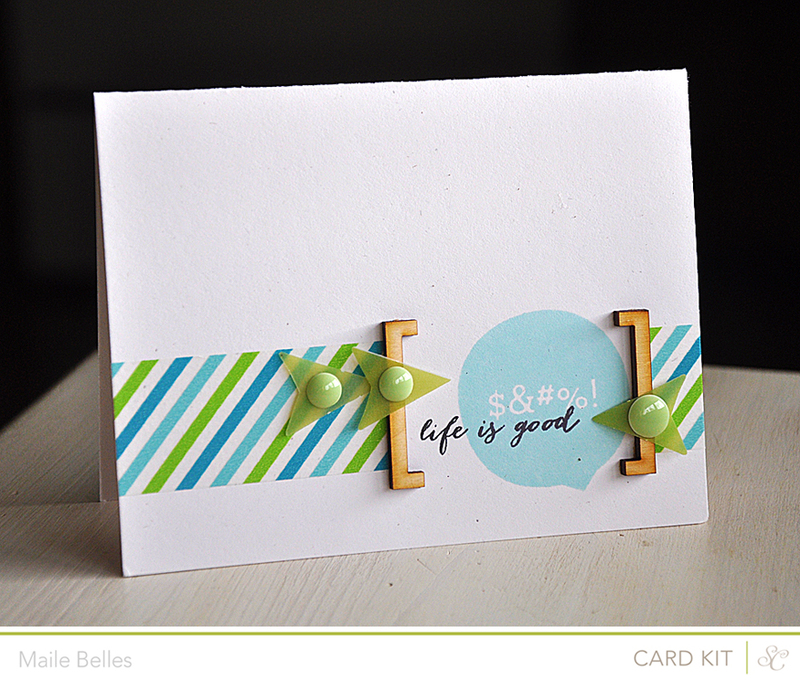 Send some encouraging words by stapling them into place over a couple of pretty pattern paper strips. Then add a stunning button to finished it all off. The top pattern paper strip is from the Matinee add on. All else you can find in the Popcorn add on. 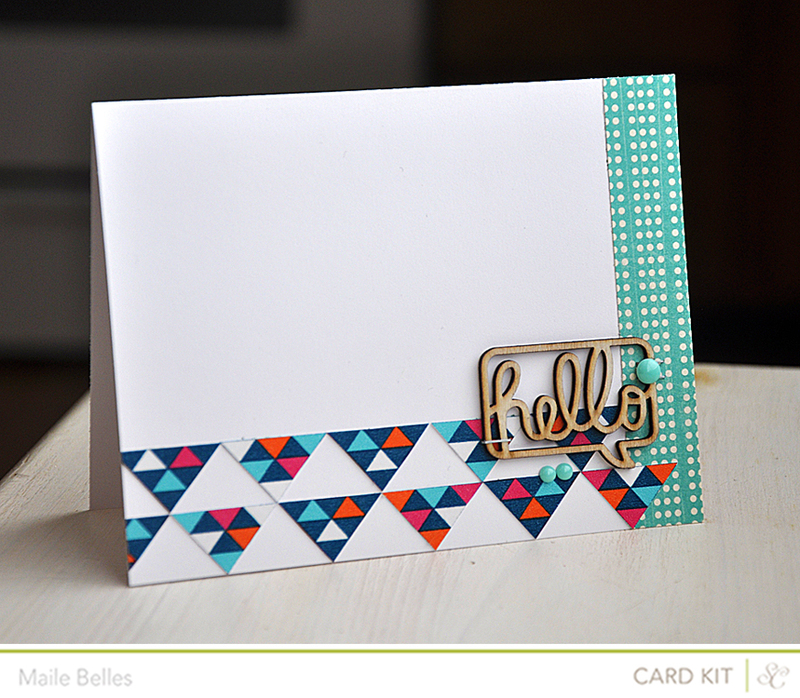 I just love this triangle washi tape from the Matinee add on! Here's what I did to make trimming triangles from the washi super easy... Here's How: I first applied it to cardstock, trimmed the cardstock along the washi edges (so that I ended up with a nice sturdy strip) and then cut the washi into triangular pieces. 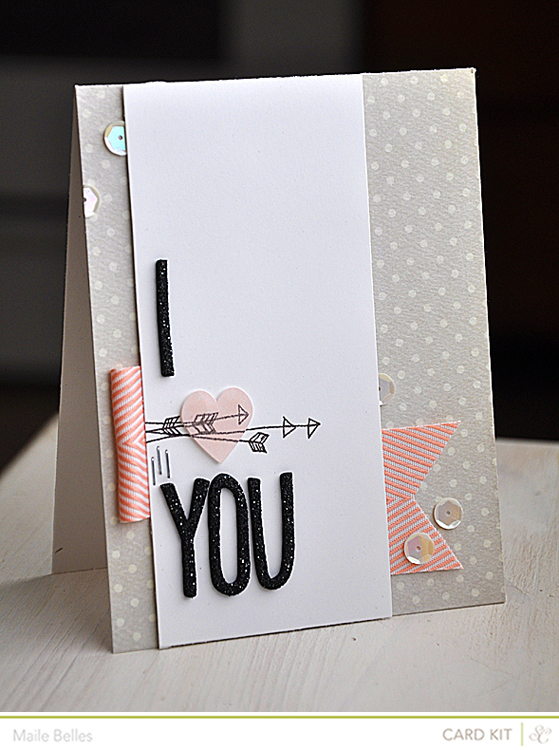 Then rearranged the pieces and attached them into place along the card base. 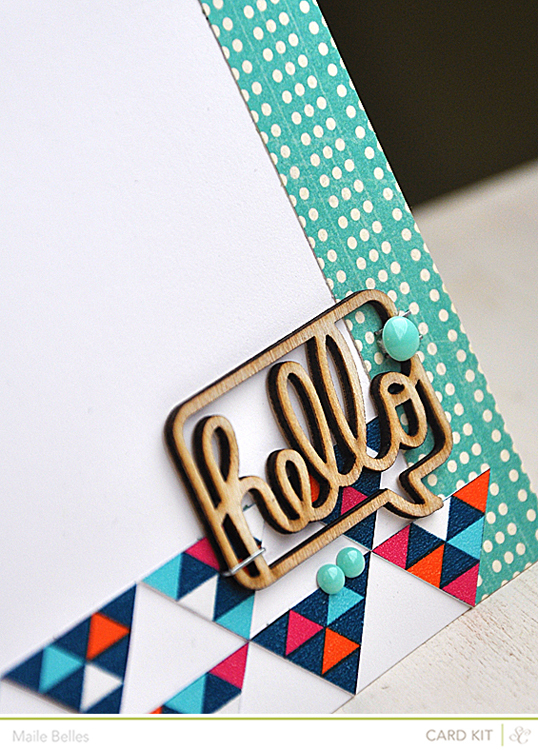 Finished the card off with a "hello" veneer bubble (Popcorn add on) and a few enamel dots (Front Row Card Kit). 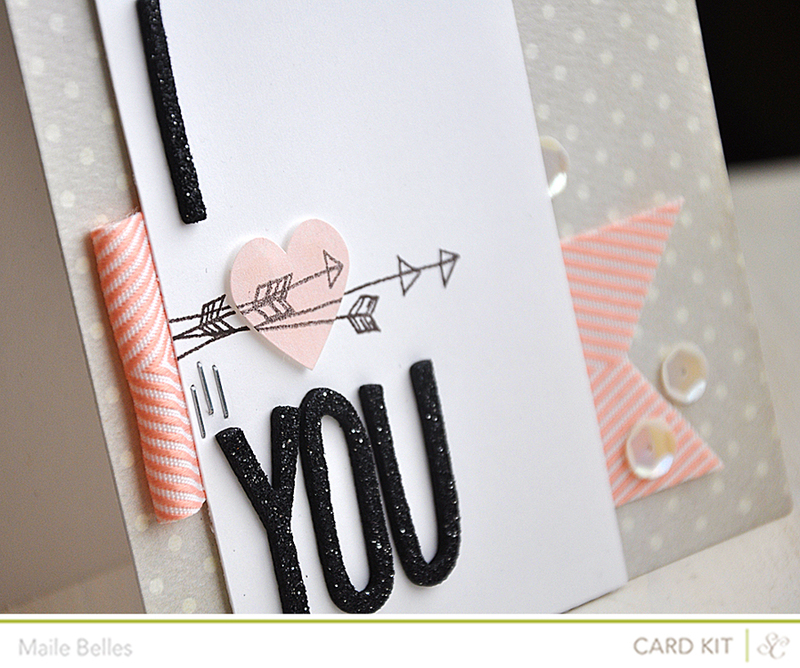 Shot through the heart is this lovely little love card. Everything but the sequins is from the Matinee add on. This arrow stamp set is quite fun, stamped the two arrows a few times over the edge of the panel and through the heart. The glitter alphas are just the right touch for the sentiment. Oh my goodness! 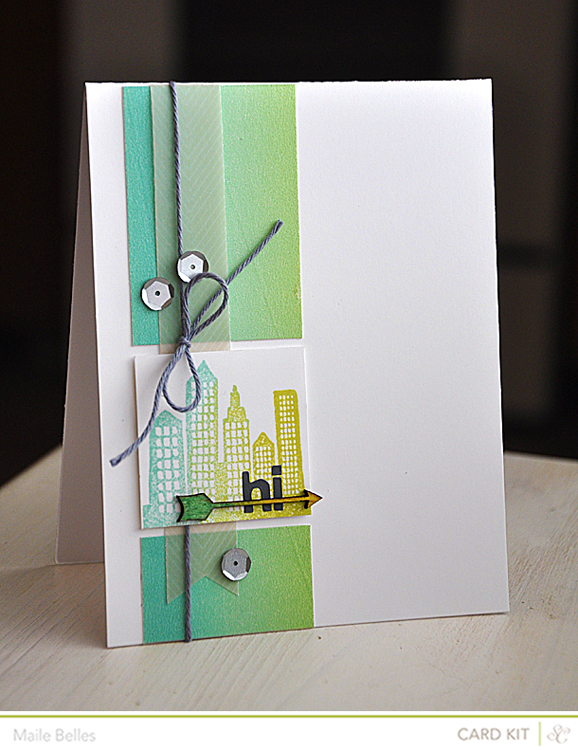 That skyline card is so awesome! I love the colors and placed sequins! 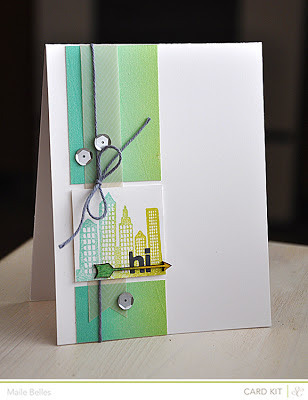 love the skyline card and that last valentine card. so lovely and always some good little tips :) thank you! Love the cards the first one is my fav!! Holy WOW! Each card is so perfect, yet each in their own way. Absolute favorite is the Love You More card. The More panel being, well, "more," tells such a great story. You were missed, Maile! Your cards are all amazing, but that first one knocked me clean off my chair!! 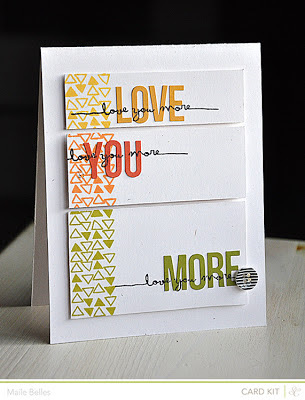 WOW, Maile, love them all but my fav is the "Love You More" card because the design is SO different. You always come up with the most beautiful geometric designs. What a fabulous kit this looks like! Just love, love, love the first card Maile! I love everything about it! The ombre, the layout of the card, the colors, the twine, sequins...EVERYTHING! 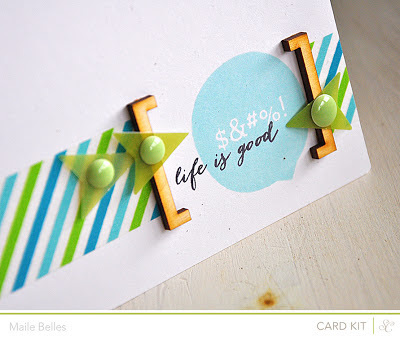 Love the colors on the 2nd card! So pretty! And the 3rd card is so amazing! 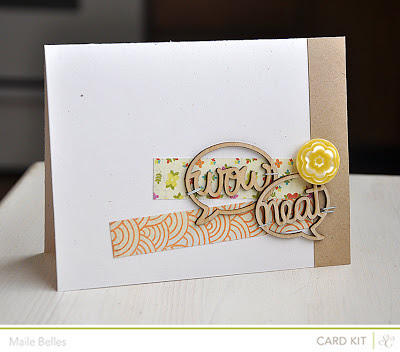 I love the layout of the card, and the colors too! Stunning! Love the 4th card and the pretty colors, and patterns! The 5th card has such a neat, clean, and modern feel, and I love it so much! The colors too! Love the last card. The design is so neat and I love the gray and pink together! And the sequins add such a great touch! I love your design asthetic. Great cards.